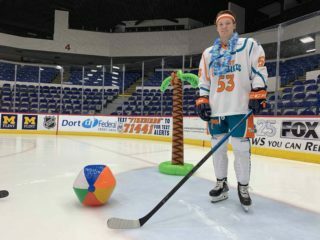 Flint, Mich. – Get tropical with the Flint Firebirds next Saturday, Feb. 16 when the club takes the ice for the forth-annual “Flint Tropics Night.” Puck drop is set for 7 p.m. (ET) against the Owen Sound Attack. Inspired by the movie “Semi-Pro” starring Will Ferrell, the Firebirds will be wearing special themed jerseys, pants and socks throughout the game that are sure to impress everyone in attendance. 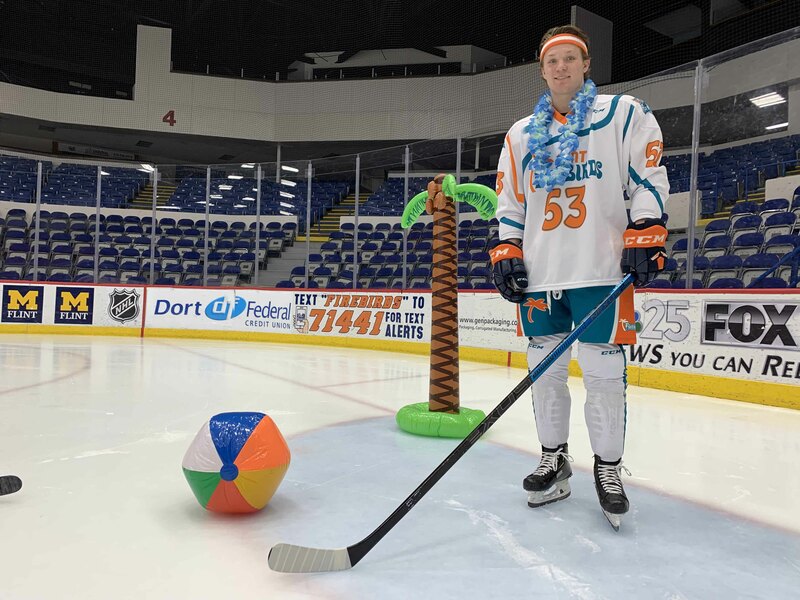 Immediately following the game, there will be a live jersey auction, giving fans an opportunity to take home the game-worn Flint Tropics jersey of their choice. Proceeds will be donated to the Firebirds Charitable Foundation which benefits local youth organizations throughout Flint, Genesee County and Mid-Michigan. Additionally, the first 750 fans through the doors will receive Firebirds’ branded sunglasses! Special video clips from the movie Semi Pro, tropical themed music, Flint Tropics merchandise and many more fun and entertaining elements will take place throughout the night.